The rumors about the PS3 and XBox 360 price drop have spread across the Internet like wildfire. Information about the price drop has popped up on several websites claiming that the price drop has been confirmed. Circuit City is said to be dropping the price of the PS3 to $499 from July 15th. However, according to Reuters, Sony has no to cut the price of the PS3 at present to pep up demand and counter surging sales of Nintendo’s rival game console Wii. “At present we have no plans [to cut the PS3 price]”, Ryoji Chubachi told Reuters in an interview. The higher price tag has been cited as one of the main reasons the PS3 has been trailing the Wii in sales, and analysts have been widely expecting Sony to soon slash the price to increase demand. Once again, further confirmations of the PS3 price drop are surfacing despite Ryoji Chubachi’s earlier statement. GameDaily has confirmed with “a merchandising manager at one of the world’s biggest retailers” that the price drop was true. Also, moles at both Best Buy and Target state that they too have word of a price drop. The Target mole reports that the retail chain’s inventory tracking program is listing retail for the 60GB PS3 at $499.99. And a mole at Best Buy tells us they just received their upcoming ads and that they all list the PS3 price at $499.99 as well. Sony is obviously trying to keep the rumors under wraps to avoid loosing hardware sales. If indeed the rumors are true, we should hear from Sony next week at E3. Until then, we will keep you updated on any other developements. The X360 and PlayStation 3 both have a hefty price tag, and that’s one of the reasons stopping gamers from purchasing them, but that could all soon change. Recent rumors suggest that some kind of price drop will be revealed at this years E3 for both consoles. The Xbox 360, currently priced at $299 (core model) and $399 (premium model) could both see a drop of $50 in price come September, during the same month that the mega-hits Project Gotham Racing 4, Mass Effect and Halo 3 debut. 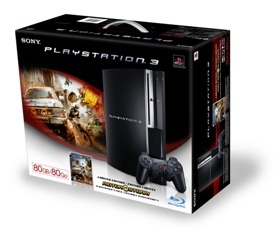 The PlayStation 3 on the otherhand may recieve a $100 drop in price, bringing the price of the 60GB version to $499. There are only rumors, so lets wait and see what announcements are made next week. As for Nintendo, well, don’t expect any kind of price drop, since it is already much cheaper than the competition. We will bring you an update on this story next week. 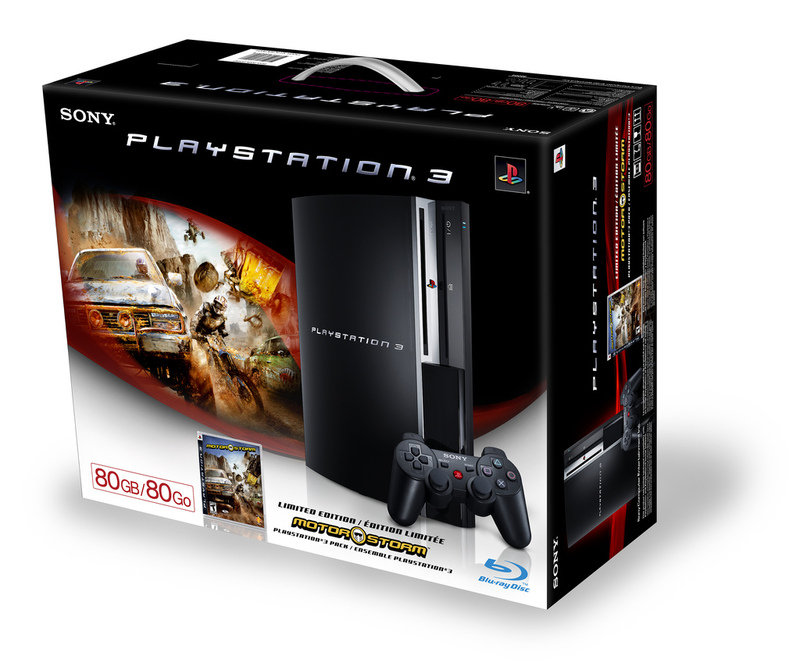 According to Matt Brown, Sony Pictures Home Entertainment VP, “the launch of the PS3 had a had a tremendous impact on Blu-ray software sales across the board. Recent sales figures are a clear indication that the PS3 is seen as an entertainment device.” Figures announced by Sony Pictures strongly support the statement. According to the announcement, 180,000 Blu-Ray discs have been sold in Europe after experiencing a 1000 increase in sales since PS3’s launch back in March. “Casino Royale” got special mention for being one of the biggest titles. Combining 500,000 copies given away to PS3 owners and the actual number of copies sold easily makes it the most widely distributed Blu-ray film to date. The recent Resistance: Fall of Man patch, which was released Friday, seems to have a bug in it. After updating the game, it is impossible to connect to the new WW servers of the game. Numerous users are reporting across all forums boards, that after the update they cannot log into the new online server. When users try to connect they receive error: “Network Connection Failed”. This is believed to be a bug in the recently released update. We suggest RFOM users with the game to NOT update just yet and wait for a fix if they enjoy the online play, if not go on right ahead. We are currently waiting for a fix from the Developers. We will update you on any new developments. It seems that there are no bugs with the patch. The connection error is specific to the PlayStation 3 and not the patch. If you experience connection problems please reboot your PS3 and check that you are connected to the Internet. We have tried to connect to the game server lots of times and we did not experience any problems. Home is one of the most antispicated feature of the PlayStation 3. Home is a Home is a real-time online 3D, networked community available on the Playstaion Network (PSN). It allows PS3 users to interact, communicate, join online games, shop, share private content and even build and show off their own personal spaces to others in real time. Home will be available as a free download from the PLAYSTATION Store and will launch directly from XMB (XrossMediaBar) on PS3. Home is currently in at the beta testing stage, accessible only to a a handful of users. Home will be will released to the public in October 2007. Below is a new preview of Home. In-Game XMB Access Already Implemented? As reported earlier, the next major PS3 Firmware Update will incorporate in-game XMB access. It now seems that the feature has already been implemented but is simply awaiting release. The video below (from IGN) illustrates that various options from the XMB can be accessed while playing a game, simplifying a lot of things like reading and sending messages, changing system settings and more. It could be that in-game XMB access may be implemented in the next update. Whether the next update will be a major one remains to be seen. We will bring you more details on this, so check back soon. If you noticed, several icons from the XMB are missing. This is because you shouldn’t be trying to watch a video while playing a game. Keeping the Music icon would have been a bonus, meaning you could listen to your own music while playing a game. The Photo and Network icons have also been removed as well as several of the settings. The Resistance: Fall of Man update was announced a few days ago and we finally have some more information as to what it contains. The update is to be released later on today and will include a number of additions, including two new multiplayer maps, Westmorland and Cambornethat, can be purchased from the PlayStation Store. See below for a list of what to expect. Worldwide Servers! Now you can play with your friends anywhere in the world since all Resistance servers are now connected to allow for worldwide play. There is a new option in the “Multiplayer Options” menu called “Worldwide Player”. Setting this to “Worldwide” will allow you to play games against other players all over the world. Setting it to your local region (North America, Europe, etc) will restrict your games to only allow other players from your region to join, and will guarantee that any players you are matched against when playing ranked games are from the same region as you. If you create a party, your party will use the Worldwide Play setting from your multiplayer options (ie, if you are set to “North America”, only north American players will be allowed to join your party, but if you are set to “Worldwide”, anyone can join). Players who are set to “Worldwide” may still join games created by players who are set to their local region only as long as both players are from the same region. The XMB Friends list is now accessible from the R:FoM Lobby. To access it, go to “Community” and select “Friends”. The “Map Vote” option has changed. There are now three settings: “No”, “Free Maps Only”, and “All Maps (Map Pack Required)”. Setting “Map Vote” to “No” will allow anyone to join who has the map that the game is being played on, setting it to “Free Maps Only” (not available if you begin the game on a map from the Map Pack) will allow players to vote for any of the free maps and allow anyone to join the game, and “All Maps (Map Pack Required)” will allow players to vote for any maps, including map pack maps, but will require anyone attempting to join the game to have the map pack. “Map Vote” will default to “Free Maps Only” for any of the free maps and “All Maps (Map Pack Required)” for any of the map pack maps. There is a new filter on the “Find Games” screen for custom games: “Map Packs”. It has two settings, “Free Maps Only” and “All Maps”. “Free Maps Only” will show only games that do not require the map pack, and “All Maps” will show all games. The “MUTE” menu from the in-game start menu is now the “MUTE/REPORT” menu. Selecting a player from this menu will allow you to select either “Mute”, to mute all voice chat from that player, or “Report for abuse”, which will notify an in-game moderator that the player is being abusive by cheating, glitching, or otherwise violating the EULA. In-game moderators will then be alerted, and may observe the player to verify that he/she is being abusive. We reserve the right to kick players we have observed being abusive out of the game and/or ban them from playing Resistance: Fall of Man, as per our anti-abuse policy outlined in the forums on www.myresistance.net. Voice chat from other players will now play through your television speakers by default unless you have a headset plugged in. There is a new option in the “Multiplayer Options” menu from the lobby called “Mute Voice Chat”. Setting this to on will start all players muted when you join a game. Players may then be selectively unmuted from the “MUTE/REPORT” menu if you so choose. The “Mute Voice Chat” option only has an effect if you do not have a headset plugged in. Repeatedly failing to finish ranked games (either by quitting or disconnecting) will now incur a time penalty wherein you will not be allowed to join another ranked game immediately after failing to finish one. The time penalty begins at 0 minutes, and will build up to a maximum of 15 minutes if you fail to finish a high percentage (30%+) of your ranked games. In the lobby, L3 is now always the push-to-talk button so that remapping the push-to-talk button does not prevent you from being able to chat in the staging, party, or results screens. Player names drawn over friendly players will no longer be blocked by low cover to make it easier to distinguish friendlies from enemies. The staging screen in a deathmatch game now has a header to show you what race everyone will be when the game starts. Additionally, the loading screen will now also reflect what race you will spawn as. For games with limited lives (such as conversion), the “QUIT” option on the in-game start menu will change to say “LEAVE” after you have been eliminated to indicate to you that you will not receive a Quit on your stats for leaving after being eliminated. Fixed a problem that caused the rocket launcher reticule crosshairs to disappear when meleeing while a rocket is being held stationary. The per-team “Time Alive” column for team conversion now displays the correct stat rather than the total team score. Assault and Breach mode games have had the number of players required to create them lowered in Team Objective games, and the likelihood of these modes has also been increased. Chimera vs Chimera Team Deathmatch has been removed from the Team Deathmatch gametype. Conversion in the Free For All gametype has been changed so that players will have 5 human lives and 1 Chimeran life instead of 1 human life and 1 Chimeran life.